Our studio overlooks one of the most beautiful harbors in the world. 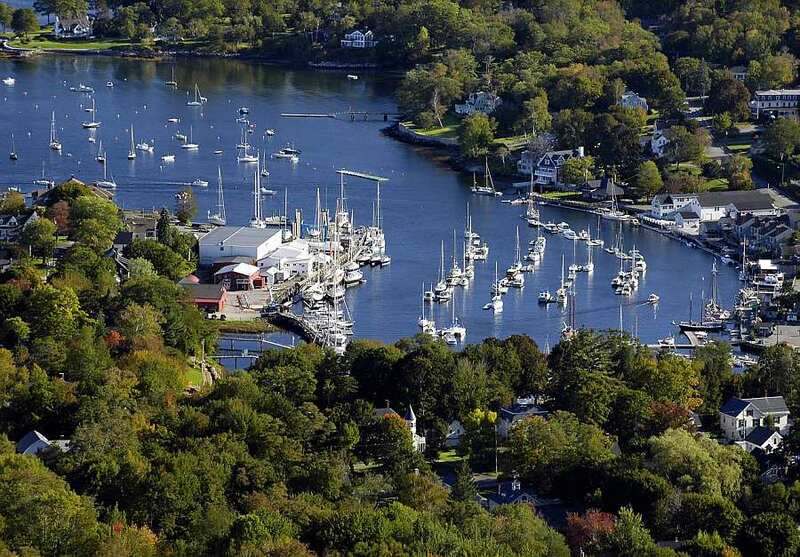 We are blessed to work every day overlooking one of the world's most beautiful harbors. The view out the office window of the summer boating activity inspires our creative efforts, as does the tranquility of the schooners sleeping under their winter covers. The nearest airport is Owls Head in nearby Rockland (RKD), to which Cape Air flies a regular commuter schedule from Boston. The closest major airport is 75 miles away to the southwest in Portland (PWM). The waters of Penobscot Bay offer a multitude of wonderful cruising destinations from snug, isolated island coves to scenic rivers and towns. The office door is always open and we welcome you to stop by.